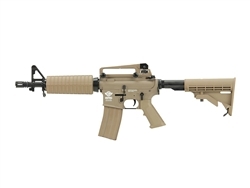 G&G's ongoing commitment to innovation takes another step forward with their all new Version 2 series for their gas blow-back line of rifles. As gas blow-back guns they do not require batteries or chargers to operate and are powered by strong pressurized gasses called green gas (a specialized blend of propane and silicon oil). Filled through a valve at the spine of the magazine, each shot is powered by a quick release of green gas. The potent energy from the pressured gasses propels the BB out and the residue forces can be felt as a hard kick, similar to recoil of real firearms. In the end you'll have one of the most realistic experience in airsoft. Though because of the unstable nature of the gas and the additional maintenance requirements, gas blow-back rifles are not recommended for beginners and players in colder regions. 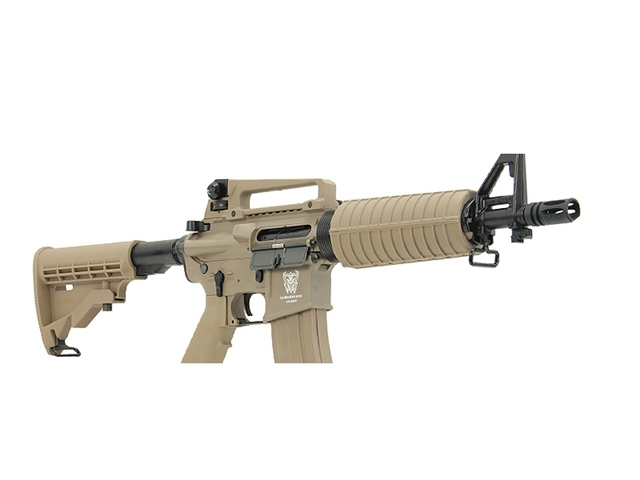 Taking these issues into heart, G&G's Version 2 series improves on the reliability and functionality inside and out of each rifle. Their gas blow-back rifles allows optimal use in temperatures no cooler than 64 F for uninhibited performance. But G&G doesn't stop there including a new bag of tricks including the much asked-for bolt-lock feature which cuts the gun from firing when the magazine's BB count hits zero. 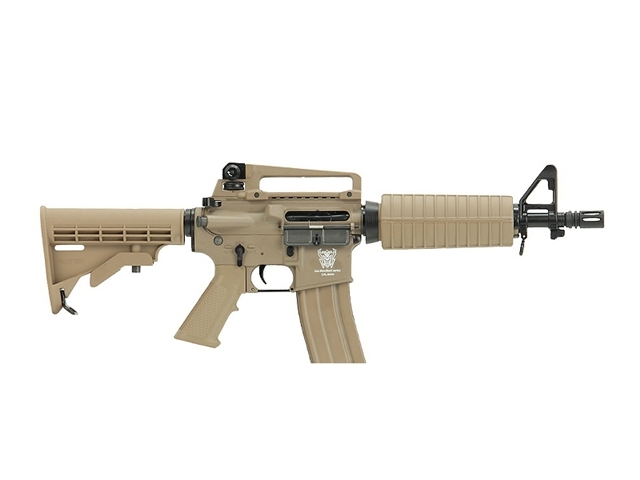 Unlike most airsoft guns especially of the electric variety, players traditionally have to watch their stream of fire to notice if the gun is empty as gearboxes would continue cycling shots despite being out of rounds. On the outside ambidextrous controls have been expanded to the selector switch and magazine release allowing the gun to be comfortably wielded by both right-handed and left-handed users. 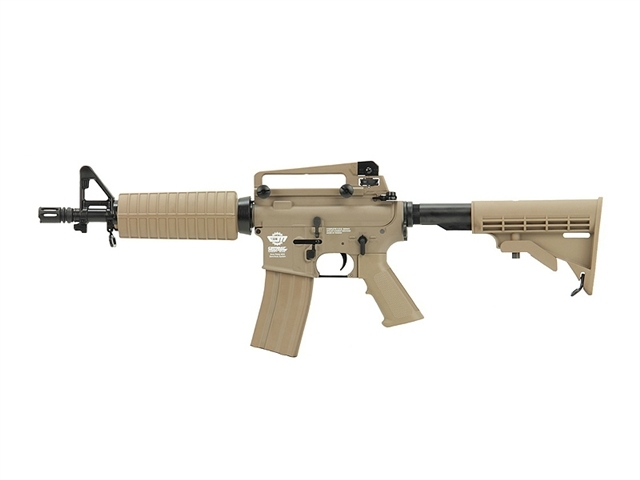 As their carbine model, it is modeled after the US military and enforcement agencies' standard issue weapon of choice the M4A1. GG's gas blow-back gun replicate the rifles well-known configuration including the ribbed polymer hand guards, a rail-interface system compatible carrying handle with integrated iron sights, and a compact 10.5" length barrel for closer quarter combat situations.